On Tasmania’s east coast, unforgettable outdoor experiences are as easy as getting in your car and just wandering, until adventure finds you. 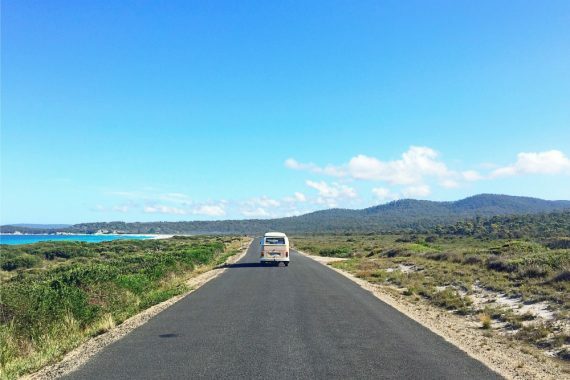 The Great Eastern Drive will lead you to some of the region’s best adventures, from sea kayaking to cruising, beach strolls to multi-day bushwalks, big game fishing to wildlife watching, and everything in between. Slowing down and taking a walk is the essence of wandering, and Tasmania’s east coast has places that were made to discover on foot. Walking opportunities on the Great Eastern Drive are many and varied—spend anything from a few minutes to a few days meandering at your leisure or exploring the region on a guided walking experience. Every coastal town here has a beach (or two, or three) waiting for you to discover. 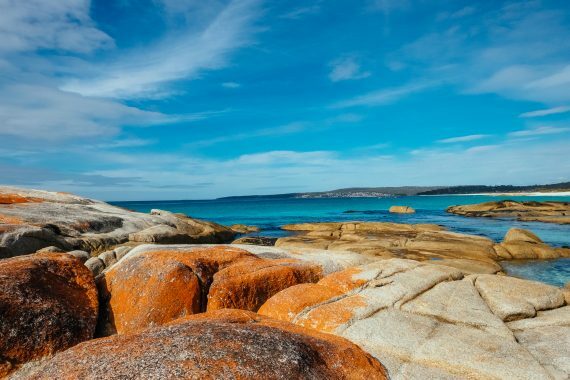 Just stop anywhere along the Great Eastern Drive—from the lovely Raspins, Shelly and Spring Beaches at Orford, to the white sands of Wineglass Bay, Binalong Bay and the Bay of Fires—choose a slice of bay that appeals to you, kick off your shoes and wander. Maria Island National Park is a short boat trip from Triabunna. Spend a day or more exploring the island on foot and experience beaches, bushland and mountains, native wildlife and the World Heritage-listed Darlington convict probation station. The walking trails at Freycinet National Park are among Tasmania’s best. Walk to Wineglass Bay Lookout (two hours return), or take half and full day walks including Wineglass Bay Beach, Mt Amos, Hazards Beach and the Wineglass Bay/Hazards Beach circuit walk. Short or full day walks at Douglas Apsley National Park include the Apsley Waterhole and lookout, Apsley-Myrtle Rainforest Walk, Heritage Falls and Leeaberra Falls. If a guided walking experience is more your style, try one of the east coast’s award-winning walking tours (4-6 days), like the Bay of Fires Walk, Freycinet Experience Walk, Maria Island Walk—named among the eight Great Walks of Australia—and the stunning Wineglass Bay Sail Walk. Before you explore Tasmania’s national parks, remember to purchase your national parks pass and make sure you have appropriate bushwalking gear for Tasmanian conditions. The east coast’s waterfalls are all found within forest reserves located inland from the coast, and are at their most spectacular after a period of rain. Visit St Columba Falls, Tasmania’s highest waterfall, Hall’s Falls, Hardings Falls, Evercreech Falls, Meetus Falls, Mathinna Falls and Ralphs Falls. Allow a day to explore several falls, many of which are within a short drive of each other. Most of the falls are accessed via unsealed roads, so make sure your vehicle is suited to the journey before you get started. With 220 kilometres of coastline, Tasmania’s east coast is made for aquatic adventures. Sea kayaking, surfing, cruising and fishing are all easily accessible along the Great Eastern Drive. Freycinet Adventures at Coles Bay offers guided sea kayaking experiences including the award-winning Freycinet Paddle—a morning or evening exploration of the Freycinet coast and its abundant wildlife, from sea eagles to little penguins, dolphins and even migrating whales. Lonely Planet has named the Twilight Freycinet Paddle one of Tasmania’s top ten outdoor adventures. Tasmanian Expeditions also offers a six-day cycling, walking and kayaking tour of the east coast. 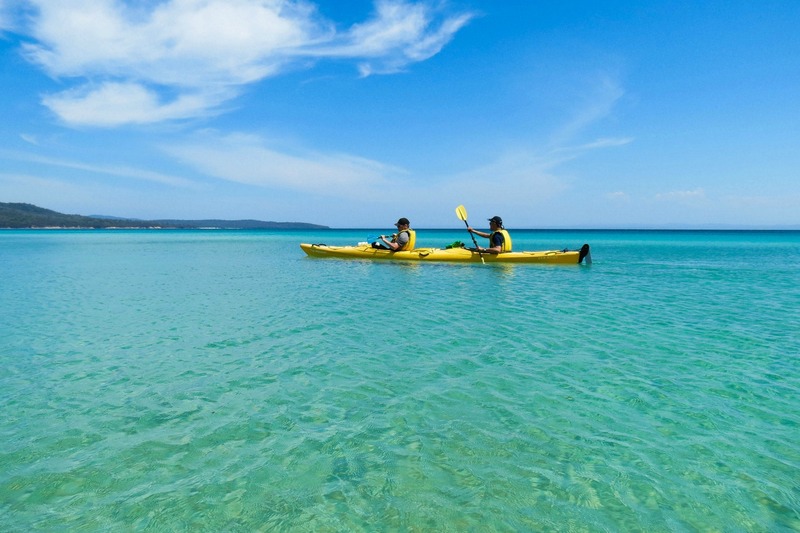 Or for experienced paddlers, sea kayak rental is available from Freycinet Adventures. The Great Eastern Drive’s best surf spots are clustered along the Surf Coast, between Bicheno and St Helens Point. The beaches at Seymour, Chain of Lagoons, Four Mile Creek, Falmouth, Scamander and Beaumaris offer reliable swells year round, with crystal clear, uncrowded waves just about everywhere you look. Buy or hire gear at surf shops along the coast and acquire some local knowledge on where to find the best breaks, or check surf conditions online at sites like Magic Seaweed and Surfing Tasmania. All along the east coast, you’ll find opportunities to throw in a line, join a fishing charter or test your skills against local river trout in inland streams. Professional fishing charters offer half or full day trips ranging from relaxing reef fishing to the excitement of deep sea game fishing. Call into St Helens Bait and Tackle to book your place on a fishing charter or try local operators including Rocky Carosi’s Game Fish, Zulu Charterz and Michael Haley’s Gone Fishing. Charters are also available on the Freycinet Peninsula—try Hooked at Freycinet in Coles Bay. Pick up your free copy of the Recreational Sea Fishing Guide From Visitor Information Centres and fishing shops along the coast, or download the Sea Fish Guide phone app for local fishing information. Taking a half day or longer to relax aboard a luxury cruise boat or yacht with a glass of fine Tasmanian sparkling and a plate of gourmet local produce is an essential Great Eastern Drive side trip. Wineglass Bay Cruises offers luxury, four-hour tours (including a gourmet Tasmanian ploughman’s lunch) aboard the Schouten Passage II, cruising the Freycinet coast from Coles Bay to Wineglass Bay. Wineglass Bay Sail Walk offers four and six day experiences aboard the luxury ketch Lady Eugenie, combining cruising and gourmet dining with walks on Maria Island, Freycinet Peninsula and Schouten Island. East Coast Cruises offers private group charters or their acclaimed day tour – Maria Island: Cruise + Walk onboard their custom designed cruise boat Spirit of Maria. Bay of Fires Eco Tours also offers 2-3 hour tours to the Bay of Fires, The Gardens and St Helens Island departing from Binalong Bay aboard the ecotourism vessel Infurneaux. The Great Eastern Drive’s gently curving roads, incredible views and mild climate, make this a prime cycle-friendly destination. Take this classic road trip on two wheels from north or south and stop along the way to experience all the east coast has to offer. If you’re planning to cycle the Great Eastern Drive and begin and end your journey in Hobart or Launceston, allow at least a week for your tour (averaging 60km per day), or for a more leisurely approach (and a rest day here or there) stretch your itinerary to two weeks if you have time. Mountain biking is a great way to experience Maria Island National Park. Take your own bike, or hire bikes and helmets on the island when you arrive and spend a day or longer exploring. Check the Maria Island by Bike guide for more information on the island’s trails and tips for planning your trip. For a slightly different kind of riding, All4Adventure offers two hour or half day quad bike experiences in Freycinet National Park, travelling along bush tracks, climbing hills and riding through eucalypt forest to reach the coast. Options include single quad bikes or family-friendly three seat vehicles. The love of golf is something all devotees of the sport understand—which is why they also love coming to Tasmania to tee off. Stop off along the Great Eastern Drive to play scenic and challenging fairways, chip your way onto some amazing greens, putt a few winners and then continue to explore the east coast on one of Australia’s greatest road trips. At St Helens, visit the St Helens Golf Club or the Cerise Brook Orchard and Family Golf Course, and try the Scamander River Golf Club, St Marys Golf Club, Bicheno Golf Club, Freycinet Golf Club, near Coles Bay, the waterfront Swansea Golf Club and the picturesque Orford Golf Club. Depending on your skill and available time, you can take a couple of hours or a whole morning or afternoon to play nine holes of golf at an east coast course, so plan your journey to fit in as many as you like. Camping on Tasmania’s east coast opens the door to experiences you’ll never forget—think close encounters with wildlife, a bottle of fine Tasmanian pinot by the campfire, and a sky so full of stars you won’t want to go to sleep. Depending on your schedule, you can camp for a single night or for the duration of your trip. Check the East Coast Tasmania Holiday Park Guide for the best locations along the coast for camping, including facilities, camping fees and access. 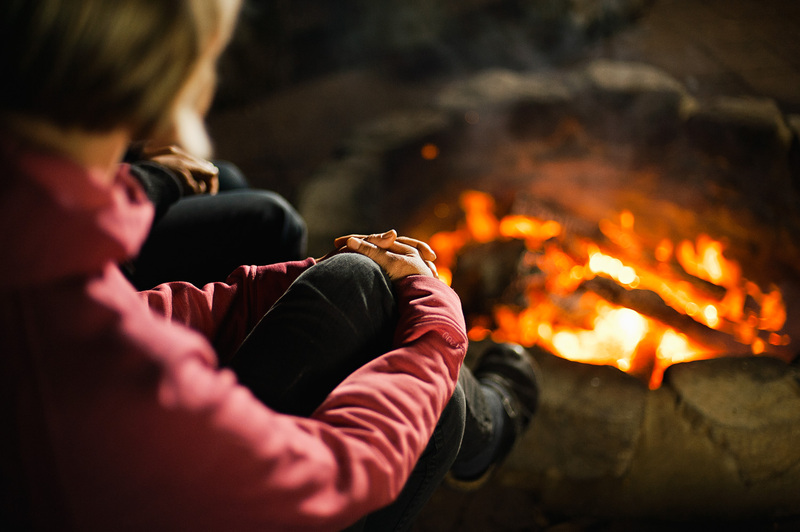 Camping areas for tents, campervans and camper trailers are dotted all along the coast (most with superb views), and you can also camp within Freycinet, Maria Island and Douglas Apsley National Parks. Guided walks such Maria Island Walk, Bay of Fires Walk or Freycinet Experience Walk combine camping with lodge accommodation over three nights, and Wineglass Bay Sail Walk combines bushwalking, sailing and accommodation aboard the Lady Eugenie on four or six day itineraries. There are not many places in the world where wildlife is as abundant and accessible as on Tasmania’s east coast. Opportunities to see wildlife—including marine mammals, kangaroos, wallabies, wombats and even the endangered, iconic Tasmanian devil—can happen naturally as you spend time at the region’s national parks and beaches, or as you explore the coast on a kayaking tour or cruise. Many Tasmanian animals are nocturnal, with the best viewing times at dusk and dawn. You’ll need at least a full day to visit Maria Island National Park (including travel time to and from the island), and guided wildlife tours range from 45 minutes to several hours. Allow a full morning, afternoon or whole day to explore a wildlife park or to take short walks in Freycinet or Douglas Apsley National Parks. Bicheno is a hub for wildlife tours. See wild Tasmanian devils on the Devils in the Dark tour at Bicheno (August-May) or watch little penguins return to their burrows on a nightly tour with Bicheno Penguin Tours. Take a half or full day to visit Natureworld wildlife sanctuary, five minutes’ drive north of Bicheno to see wildlife including Tasmanian devils, and for a glimpse of life below the ocean’s surface, join a 45-minute tour aboard Bicheno’s Glass Bottom Boat (September-April). 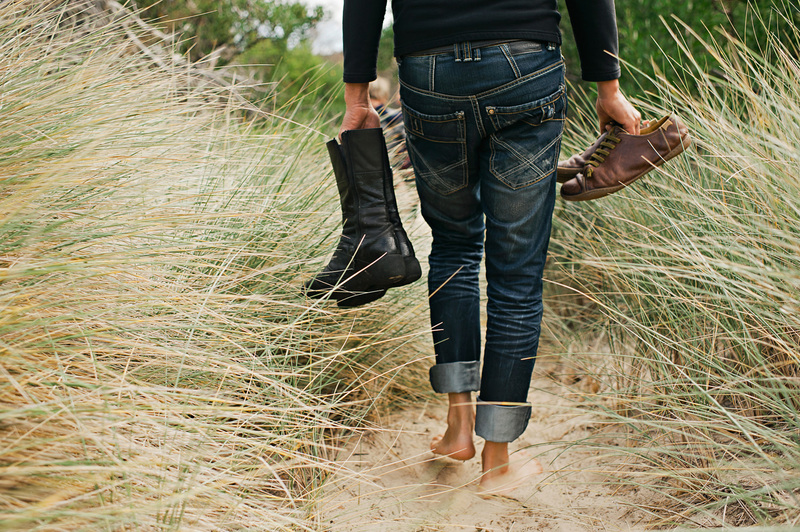 We each have our own idea of the perfect outdoor experience. But whatever your sense of adventure is—from sea kayaking to luxury cruising, gentle beach strolls to multi-day bushwalks, big game fishing to wildlife watching—you’ll find a way to follow it on Tasmania’s Great Eastern Drive. 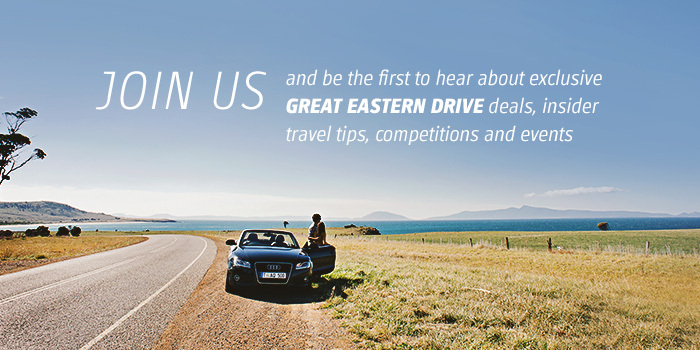 Take a weekend, a few days or longer to explore, feast and wander on the Great Eastern Drive, and experience a true adventure.